Concord Quartet, Alcott, Emerson, Hawthorn, Thoreau. Bill Holm Poles in Minnesota. Diana Norman 1970 Tom Corbett’s Stately Ghosts of England. Stephanie O’Dea Make it fast, cook it slow. A passion for books : a book lover’s treasury of stories, essays, humor, lore, and lists on collecting, reading, borrowing, lending, caring for, and appreciating books (1999) Eds Harold Rabinowitz and Rob Kaplan. Cathleen Schine Three Weissmanns of Westport. Andrew Taylor Bleeding Heart Square 2009Roth Trilogy, the Lyndmouth Series, Blaines Trilogy and Dougal Series, A Stain in the Silence, The Barred Window, Raven in the Water, The American Boy. Lane Smith It’s A Book! The Library has a great selection of BOOK GROUP in a BAG, with hundreds of titles in Fiction, Non Fiction, Children’s and Young Adult. 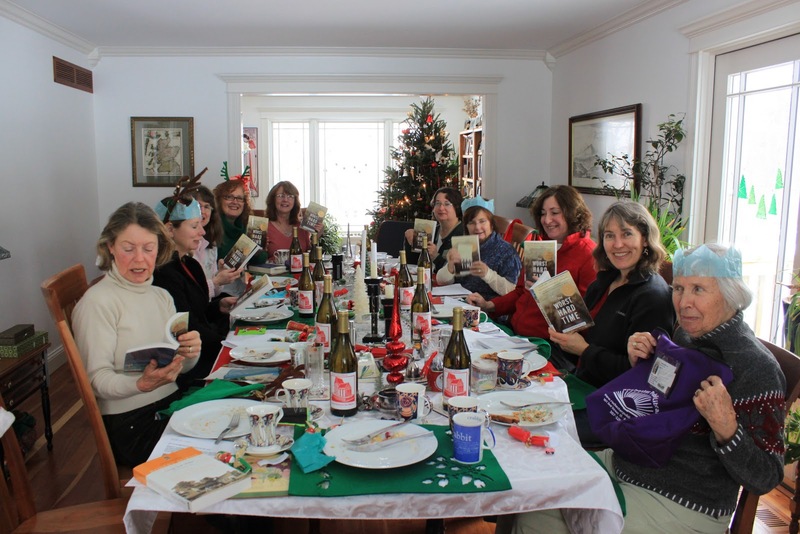 There are also wonderful Reading Group or Book Club Guides (with questions, or if you like this author, read these). 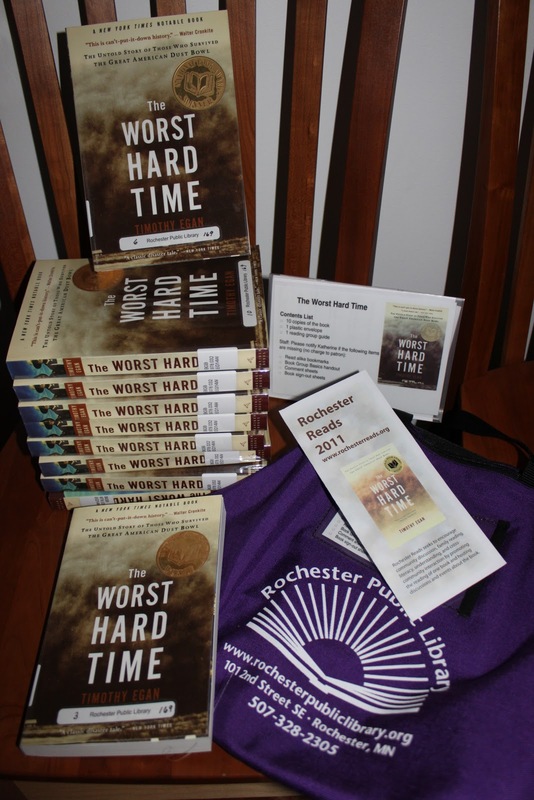 Don’t forget that the Rochester Reads book The Worst Hard Time is also available as a BookGroup in a Bag. So, what is your book group reading next?? We’d like to hear what you are reading throughout the coming year. We would be delighted to open discussion on authors or particular books too. There will be new titles added this year as well. Please let the Library know if you have any titles you can’t wait to read. Don’t forget to meet the author too = the Library has a number of author visits scheduled for 2011. Watch this space! There are quite a few regional visits of authors as well. Share if you plan to attend. Oooh Shiny! This year’s 10th Annual Wit Wisdom & Wine raffle on January 15, 2011, features the winner’s choice of one of three pieces of jewlery donated by Hight & Randall, Ltd.
18 karat white gold Art Nouveau arrow pin with 25 square cut channel set blue sapphires weighing approximately 0.75ct and 22 single cut bead set melee diamonds weighing approximately 0.25ct, circa 1930. This piece weighs 4.6 grams. 14 karat yellow gold antique revival style filigree ring containing 37 round brilliant cut diamonds weighing approximately 0.52 ct, H color S12 clarity. Proceeds are used to support the mission and vision of the Rochester Public Library Foundation. There are several current titles with Bad Boy, but this mystery by Peter Robinson is another fasinating read. This continues the story of Det Chief Insp Alan Banks, with his partner Annie Cabot. England never feels very safe when they are involved in a case. Lately they seem to all have insidious, devious pychopaths, masquerading as smooth individuals, the pillars of the community. This has truly grisly details, not just physical, but the psychological impact; again not just the crimes, but the implications in every day lives of the consequences of our actions, and other deeds. Keep the lights on, expect a fast read, hope your nightmares are less than mine! I had two comments about small details: they were sipping whiskey as they are wont to do, but if it is spelled with an ‘e’ it isn’t the singlemalts of their northern neighbours. Are they drinking irish whiskey?? Or is this the american typeset?? I love the fact that the main characters like to read, as well as drink wine and listen to music. The echo of “we’re a right pair” closes with a sense of survival, but at a huge cost. Registration information is now available for our 10th Annual Wit, Wisdom & Wine fundraiser for the Rochester Public Library Foundation. This entertaining and intellectual fundraising event features a variety of speakers. Attendees select two class choices to attend. Wine and Hors d’oeuvres will be served throughout the evening, with special wine tasting and refreshments following the second class. Please put your volunteer hours in the signup sheets/books (both bookstore, sorting, etc) for Nan to log in your annual hours. This is very important, not just to recognize all the work that you do (which the Library and Friends GREATLY appreciate) but also these numbers provide the basis for additional support and community recognition.